The new CLI gives you much more power, with the ability to call the program and run a number of common analysis tasks. When completed, you will be left with the sorted images and any reports requested. You may have a program that is able to script certain functions and can call other external programs. This may be a piece of software that extracts images from raw data or drives. You then need to analyze these images with Authenticate. Remember that running a full analysis on each image may not be necessary and this is a great example of when creating your own analysis settings file can save you a lot of time. I wrote about this in a previous article. By placing the following command into your script, the Authentication side of your required process is fully automated. We have called Authenticate, we have set the input folder (/i), and we have set the output location (/o). The process is run in batch mode (/b), and when completed, Authenticate has closed (/x). There are many other examples in the Program Reference Manual, located under HELP within the software. 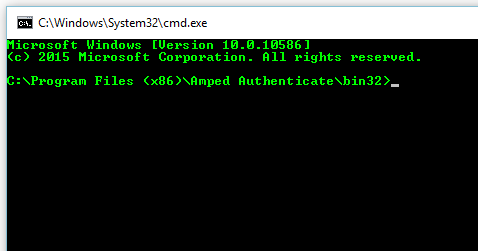 Authenticate users with the latest version can try this now in the command line. 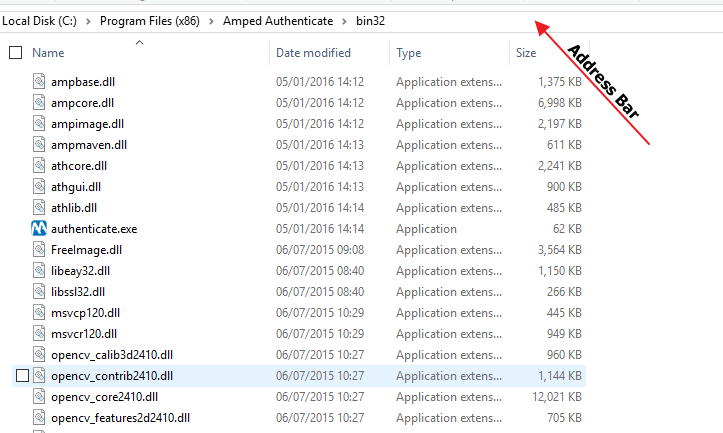 Navigate to your Authenticate Folder within Program Files. You need to be in either the bin32 or bin 64 folder. In the address bar type cmd, then press enter. You are now running the Windows command prompt from within this folder. Use the command I used earlier as a test. Remember to add in your own input and output folder locations. You are now free to automate some of the tasks required. Another example to highlight how this can help would be using a batch file. cd "c:\Program Files (x86)\Amped Authenticate\bin32"
This .bat file sits on my desktop. When I drop a folder of images onto it, the files are analyzed in batch mode and automatically sorted. All files that appear ‘Camera Original’ get placed into a folder called OK. All files that have irregularities get placed into a folder called Warning. A full batch report is compiled that lists all the files and their data. Authenticate will automatically close and reopen. This time, all the files that had Warnings are fully analyzed and a html report is compiled. 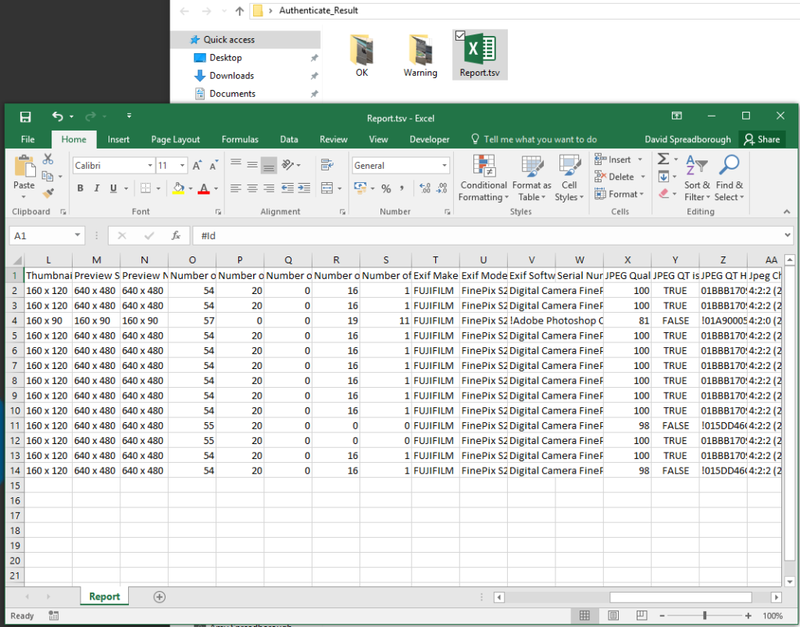 With a single drag and drop I can scan, sort and analyze a directory full of images.